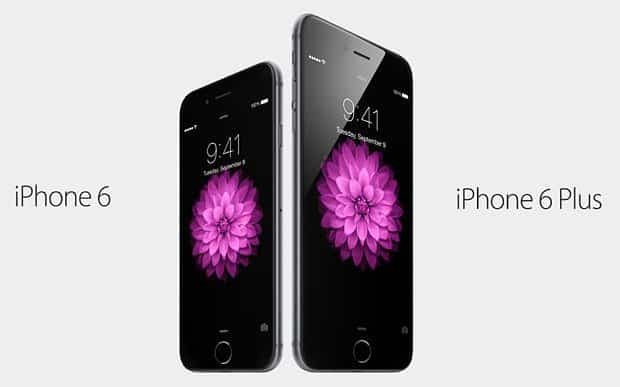 iPhone 6 vs iPhone 6 Plus – what’s the deal in big screen size ? iPhone 6 and iPhone 6 Plus, is it all about the big screen size ? Now let’s start iPhone 6 vs iPhone 6 Plus and let’s see the main difference, when ever the two words come into your mind of a iPhone without a ‘plus’ and with a ‘plus’ ,is it just simply the screen size, as the screen size on the first one is 4.7 inches while the ‘plus’ one has a 5.5 inches screen. But is it only the size which is the main difference? No. Although it is the primary difference of a sort, but still there are many differences and similarities too in between them which is mentioned below. The iPhone 6 and the iPhone 6 Plus both feature Retina HD display, and yes it’s a damn great thing of the display. While this has become a similarity point, the difference lies in the resolution of both of the devices and also the pixel count and etc. which are all related to the display. The iPhone 6 Plus features a 1080p display(1920 x 1080) while the iPhone 6 features a 750p display(1334 x 750) and their pixel density differences are 401ppi vs 326ppi respectively. The iPhone 6 Plus will now feature a specially designed landscape mode for it(which is seen in the iPad before) while the iPhone 6 won’t have that. As a screen size increases, so increases it’s capacity, and so the battery. The iPhone 6 Plus will have a larger battery and long usage compared to that of the iPhone 6. Also, when the camera section comes into the game, both the devices will feature same 8mp sensor in between them(even the iPhone 5s had this, with less sensors). But the iPhone 6 Plus will feature the Optical Image Stabilization (OIS) part, which is a very very useful camera add-on sensor these days. (Nexus 5 and Windows Phone “PureView” users have experienced it).